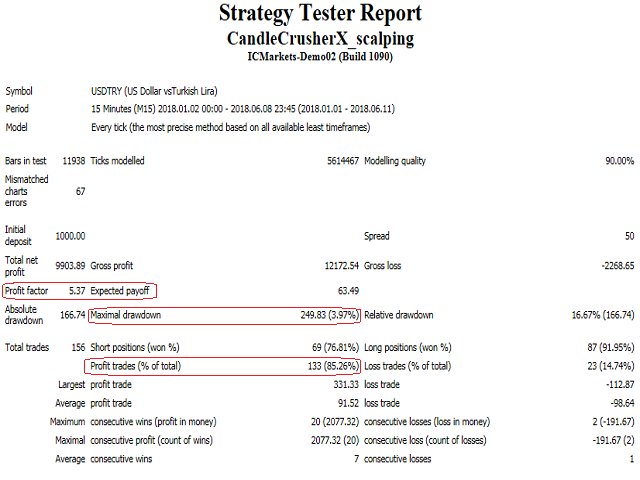 CandleCrusherX Scalping EA analyses the market situation on volume and strong price movement within internal Timeframe. 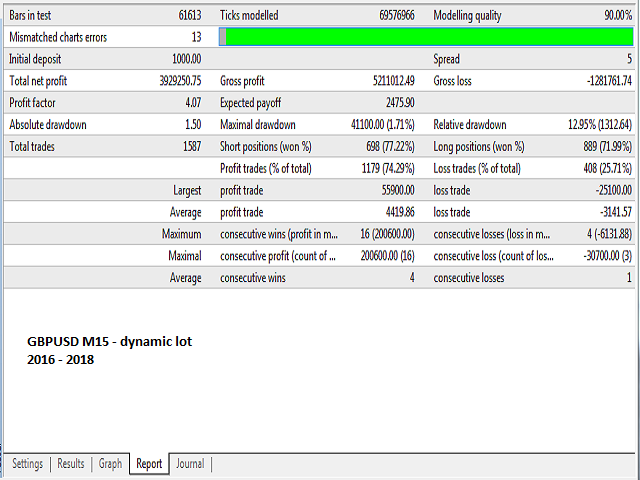 It works on all major forex pairs and Timeframes (M5 or M15 recommend). The EA has integrated dynamic Take Profit, this means, if you reach your defined TP it gives you the chance to follow on the Trend by dynamic TP & SL and extend your profits. Also a News Filter function is integrated, to prevent miss trades on News events. It is recommended to use an ECN broker with a low spread and VPS. Small spread significantly increases the EA’s efficiency. it is recommended to use the VPS chosen based on the closest location to the broker to achieve the lowest possible ping, which provides better conditions for the robot to place orders. Take your time to figure out which Strategy is the right for you. Predefined Scalping. SET Files can be downloaded on our website. On Testing disable news Feature to improve testing performance, news can be tested only in current week, not in the past. Dynamic Take Profit points – on reached Take Profit, this gives you the change to follow Trends and extend your Profits, take profit is set to current rate + dynamic tp points, also dynamic Stoploss. 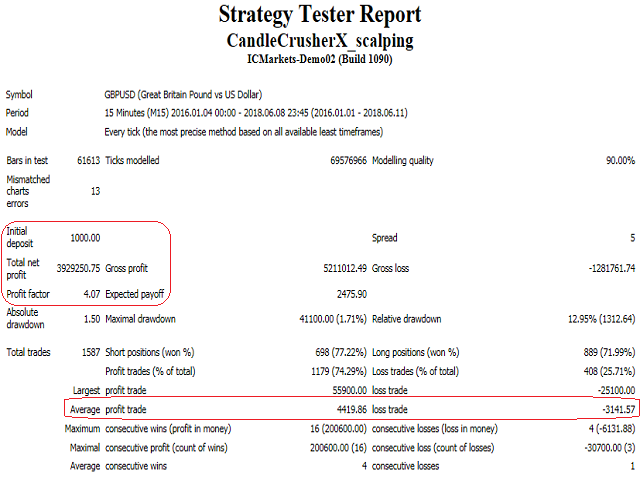 Dynamic Stoploss points – one reached Take Profit Stoploss is set (current rate – dynamic stoploss). Still in an evaluating process with a demo account so will update rating again. Currently Chris is helpful. He has responded very quickly and provided clear explanation. I hope this one will be more useful and sophisticated. Th EA is overall profitable (read my post # 4 in comments). I strongly recommend a lower price. I will possibly test all its traded pairs next.